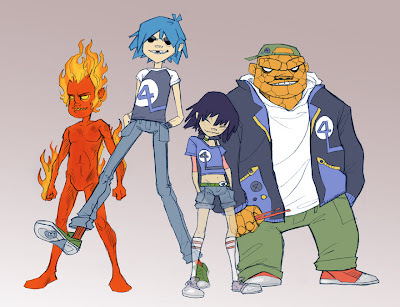 Posted May 15, 2009 in ArtNerdEm, Fantastic Four, Gorillaz. Kirby meets Hewlett in this crossover by ArtNerdEm. More fun to be had over at DeviantArt.